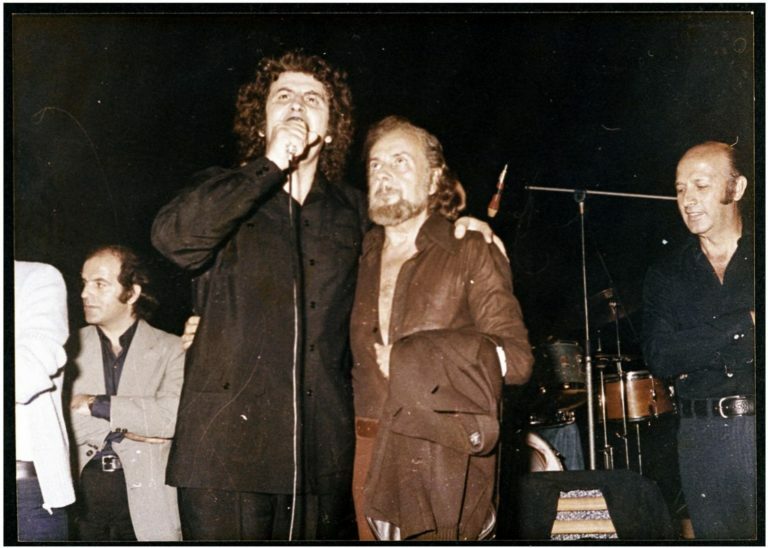 Anyone familiar with Greece’s modern history will know that Yiannis Ritsos and Mikis Theodorakis are two figures whose legacy shaped the country’s identity. To situate these legacies merely in the spaces of poetry and music would be at best an omission, considering their activism became embedded to their creations which mirror Greece’s turbulent and often divided past. But above all, their work has been one epitomising the human struggle for freedom and justice, a call for unity amongst people which just like their art knows no borders. Next month, an initiative spearheaded by the Greek Festival of Sydney, brings Australian audiences a series of special performances honouring the output of these masterminds. Touring five cities, Romiosini And Beyond is a two-part concert comprising the music of Romiosini, a cycle of songs Mikis Theodorakis composed based on the poetry of Yiannis Ritsos, and a tribute to the great composer’s oeuvre of popular music. But the introductions don’t end here. The musical event brings together an ensemble of industry heavyweights, including Australia’s best orchestral musicians, Greece’s beloved vocalist Dimitris Basis and acclaimed conductor George Ellis, who will lead a five piece Greek band, a 40-piece orchestra and a 20-piece Greek choir. Notably, the Australian tour features a world-first. “Romiosini was originally written for popular Greek band instruments and voice. “To our knowledge, nowhere in the world has it [Romiosini] been performed with a full orchestra, so Melbourne will see the world’s premiere of the fully orchestrated version”, George Ellis tells Neos Kosmos, ahead of the Melbourne Recital Centre concert on Friday 17 May. 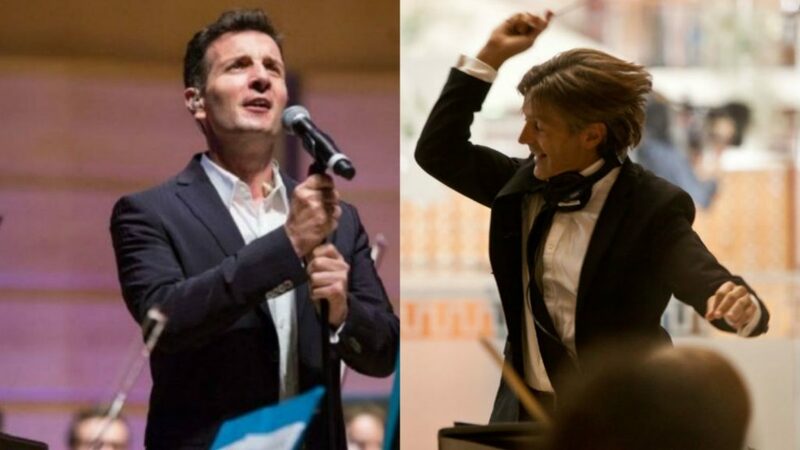 The first and last concert of the tour will take place in Perth (10 May) and Darwin (1 June) respectively, albeit using a chamber version of the orchestra, while Brisbane’s Concert Hall will host the performance also in full orchestral form on Wednesday 22 May, followed by Sydney’s City Recital Hall on Friday 24 May as part of the Greek Festival of Sydney. Composer Mikis Theodorakis with poet Yiannis Ritsos. While the tour was made possible thanks to support by Greek communities across Australia, it was Sydney that kickstarted the project, responding to a personal request by Theodorakis. “Two years ago, a delegation from the Greek Festival and Greek community of Sydney visited Mikis Theodorakis at his home in Athens. “They told him they wanted to present a concert honouring him and asked him to choose the specific work he would like to see performed and the vocalist. ‘We feel we owe this to you’ they said[…]This is how we came to Romiosini being presented for the first time scored for full symphony orchestra following Mikis’ request and he asked for me to be the soloist – something I consider a great honour and for which I deeply thank him,” explains Basis. For the singer, his year-long collaboration with the composer dating back to 1999 marks, as he puts it, “the biggest chapter” in his career, having performed his works repeatedly both in Greece and abroad and being part of the “Mikis Theodorakis Popular Orchestra”. Present at that meeting was also George Ellis with good reason, being the conductor in charge of the orchestral concerts for the Festival since 2014 – including Theodorakis’ works Axion Esti and Canto General, with Basis as vocalist in the latter. “We’ve gone back to this man with whom we have a great relationship. It’s like being friends with Mozart, Beethoven or Picasso, that’s how we feel about Mikis Theodorakis,” says Ellis. “What we wanted to do is just celebrate the great composer himself… and honour his beautiful body of work,” the conductor goes on referring to the two parts of the performance: Romiosini, consisting of nine pieces based on the poetry which Theodorakis set to music, followed by a selection of the maestro’s ever popular songs. Romiosini was written by Ritsos just after WWII in the midst of Greece’s civil war, describing at a first level the hard-fought struggles of its people for freedom. But its lyrics are also an ode to Greekness and a call for unity and solidarity, something that Basis explains is reflected throughout the work of Theodorakis. Equally profound, Ellis points out, yet of a more “hand-clapping” feeling is the second part of the concert, where we will hear beloved songs like Varka ston Gialo, Vrehi sti ftohogitonia and Drapetsona. “When we do a song like Margarita Margaro or Vraho Vraho Ton Kaimo Mou, we find that the audience[…] can’t help but clap along to the beat. In the second part of the performance, the orchestra and soloist will be joined by a band led by Sydney-based musician George Doukas featuring Greek instruments and including…- yes, you guessed right – the popular bouzouki, while concertmaster, or in other words Ellis’ right hand person, will be world class violinist Dimitris Kalligeros. Asked about the challenges of preparing such a big undertaking, Basis and Ellis debunk the myth of a puzzling experience. Things are much simpler than one would imagine, says the Greek singer, thanks to his familiarity with Mikis Theodorakis’ music and having worked on Romiosini in the past. “Furthermore, George Ellis and I have developed a really good collaboration for the past three years [via the Greek Festival of Sydney]. He is a great musician and maestro, we’ve been preparing for a year now…and music really is essentially notes”. “Basis has been a key collaborator,” says Ellis. A year after, with a few weeks left for the tour everything is at its final stage, with musicians in the various states where concerts will take place receiving the final orchestral parts before all artists get together to rehearse before the big day. If anything, Ellis is used to big performances, having amongst others conducted for the Sydney Olympic Games in 2000 and served as musical director and conductor for the Athens Olympics. So is Basis, having for years now established not only a successful career in Greece, but also his place as an international vocalist. In fact, this will be his sixth time performing Down Under. He further reflects on how younger generations of Greek Australians have been learning about and enjoying aspects of our cultural heritage thanks to efforts championed by the Greek Festivals and communities broadly. It is fair to say that those attending Romiosini And Beyond will not only join a celebration of one of Greece’s greatest composers. Importantly, the audience is invited to take a trip down Greek memory lane and revisit the parts of our identity we should be embracing. “This concert speaks to the soul of every Greek person at present time when things are difficult for the homeland. Delphi Bank proudly supports the Australian tour of Romiosini And Beyond as the principal sponsor.